Wanting to give your PC an extra injection of gaming potential? Then we've got just the competition for you! 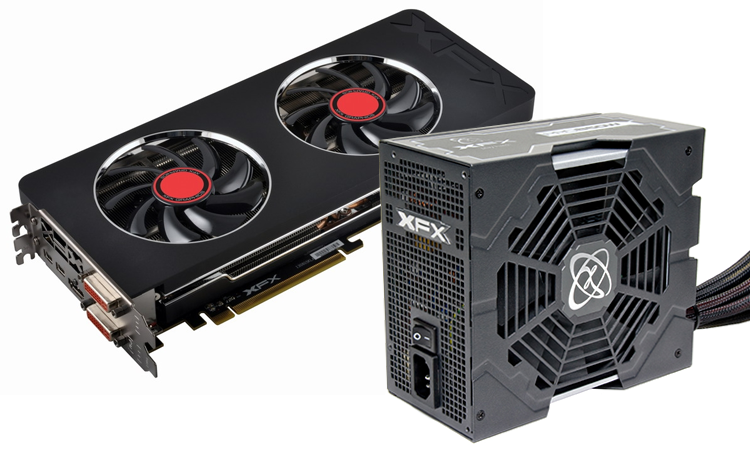 In partnership with AMD, we're giving you the chance to win a powerful XFX R9 280 Double Dissipation graphics card and an efficient Pro Series 850W power supply! An awesome upgrade for any PC gamer, we're sure you'll agree, and all you need to do to be in with a chance of winning this fantastic prize is answer the following question. And don't forget, you can also claim a free second entry via Facebook to increase your chances of winning! Hint: In case you missed it, you can find the correct answer at amd.com. The competition winner will be picked at random from all eligible entries that arrive by midnight of the closing date, September 25, 2014. The winners will be notified via email by October, 2014. The winner must claim their prize within 7 days of the promoter sending notification. If the prize is unclaimed after this time, HEXUS reserves the right to offer the unclaimed prize to a substitute winner selected in accordance with these rules. The prize is an XFX R9 280 Double Dissipation graphics card and an XFX Pro Series 850W power supply. Already have a R9-280X but I want this to check the crossfire performance and the PSU is a great grab. Very nice prizes once again. Cheers Hexus and AMD.